The inspiration for Maxwell "was to take a traditional shape and make it fresh," says Apartment Therapy founder Maxwell Ryan, who co-created the design with us. That means you'll enjoy a custom sectional sofa that's "comfy, cozy, and approachable," with thick, contoured arms and piping details. 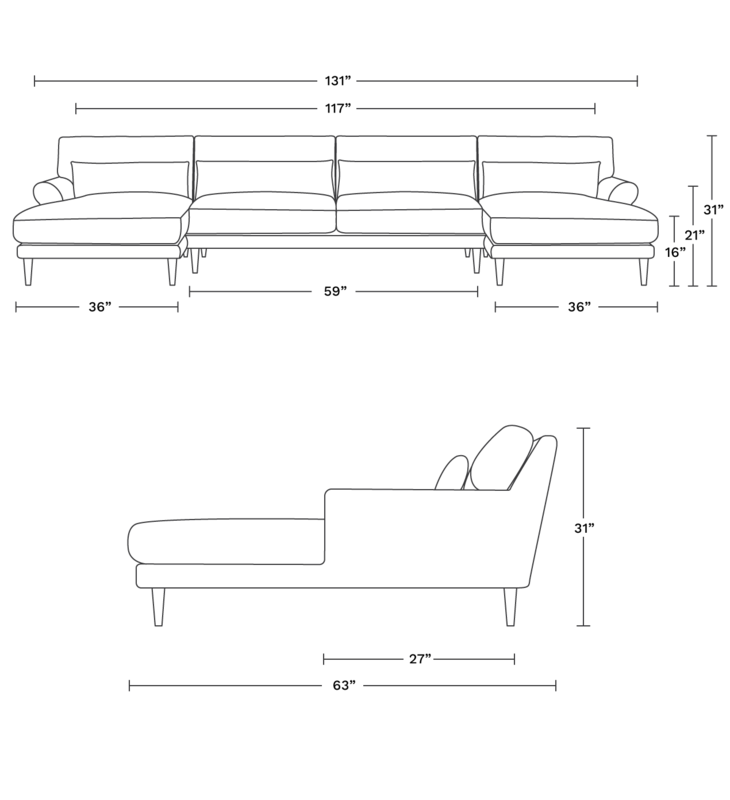 At the same time, the sectional remains light and airy thanks to a thinner frame rail and turned leg.